A woman wading through flood waters is replacing the polar bear as the defining image of climate change. 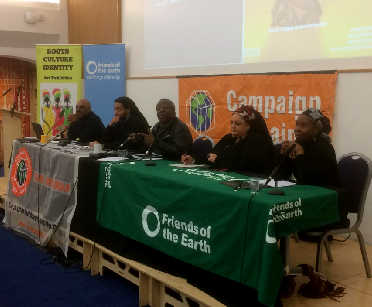 Delegates to the UK’s first trade union and Friends of the Earth conference on Climate Refugees (Saturday 11 February) learned that in the past six years over 140 million people have been displaced through climate-related disasters – one person every second. Briefing delegates on the hard evidence of climate change, Prof Joanna Haigh (Grantham Institute) said that every indicator was flashing: rising sea levels, warming oceans and shrinking Arctic sea ice. ‘Globally warming is not globally uniform,’ with the greatest increases in polar regions and across sub-Saharan Africa. The current growth in carbon emissions would place as much as a quarter of the world’s population exposed to water scarcity, flooding impacts and crop failures. For Unite the Union, Diana Holland was ‘angry and ashamed’ at the government’s inhumane treatment of child migrants. Trade unions have shown through campaigns such as Chile Solidarity and organising migrant domestic workers what international solidarity can deliver. Where union members are impacted by climate change, our demand must be for a Just Transition, with everyone at the table. Reinforcing this message, Chidi K ing (first right, see left) said that the ITUC (International Trade Union Confederation) was developing a Just Transition programme to engage trade unions, governments and communities in demands for investments in low carbon technologies, green jobs and new skills. Climate change would drive up global poverty: so zero poverty and zero carbon were two core issues for the ITUC. Zita Holbourne (second right), PCS Vice-President, argued that it was impossible to separate climate change impacts from other causes of human displacement, including war, fear of persecution, famine and poverty. For many climate refugees, their ordeal is not over when they arrive in the UK, where they are often treated as third class citizens. Unless we are to pass to our children a world worse than ours, we need a new vision for race equality in 2025, based on social justice and equity. Saturday’s workshops covered the planetary emergency, building trade union solidarity, challenging racism and xenophobia, the Moving Stories of climate migrants, and creating a new narrative around climate refugees. Also, the Environmental Justice Foundation presented its excellent short film, Falling through the Cracks. Paris Agreement: a climate refugees Protocol? Suzanne Jeffrey paid tribute to the CACC’s Ken Montague, who had returned from the Paris climate talks in December 2015 with a burning commitment to create a UK conference on climate refugees. Sadly, Ken passed away in December 2016. This event was part of his legacy. The Paris climate agreement at COP21 offers the clearest opportunities for progress on climate migrants’ rights. The UN reconvenes in Bonn in November 2017 and in Poland a year later. European social movements have clear opportunities to build pressure for progressive action as the UN takes stock since the Paris Agreement on progress towards carbon emissions reductions, its commitments to address climate impacts, and progress on the rights of climate migrants. But for a new Protocol on climate migrants’ rights to be written in our terms, our challenge is to build a new compelling narrative across civil society – young people, faith organisations, trade unions, and the wider environmental and migrants rights community. With at least 140 million people forced to move through climate related disasters, we call upon our union to support campaigns for a new UN Protocol providing legal protection for climate change refugees within the framework of the Paris Agreement. 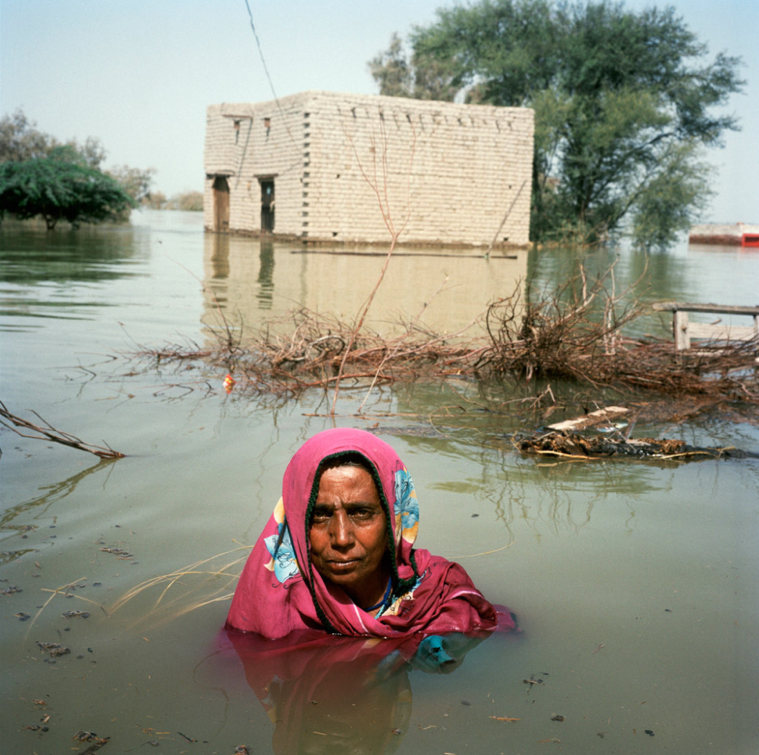 The UN estimates that the number of people forced to move through climate-related disasters – severe floods, prolonged droughts, devastating storms and other extreme weather events is likely to double by mid-century. This union further calls on the UK government to acknowledge the adverse effects of climate related disasters on the full enjoyment of all human rights, to raise public awareness of this growing crisis, and to actively support the call for a UN Protocol. The government should focus on the urgency of protecting and promoting human rights of migrants and persons displaced across international borders. We also call on the government to integrate a gender perspective in developing responses to the human impacts of climate change. This union further calls on the TUC to actively campaign for a UN Protocol on climate refugees, in lobbying the UK government and working through the ETUC, ITUC, ILO and other organisations.